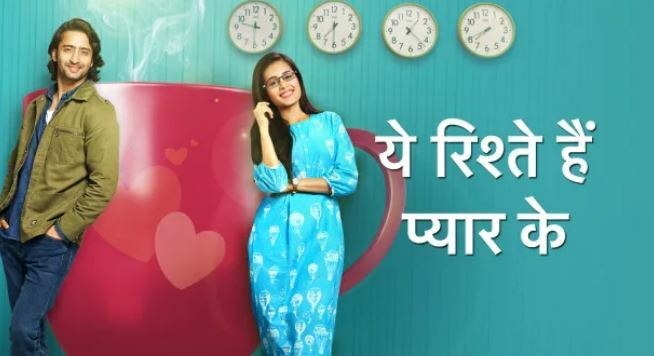 Star Plus’ Yeh Rishtey Hain Pyaar Ke stars Shaheer Sheikh and Rhea Sharma in lead roles. 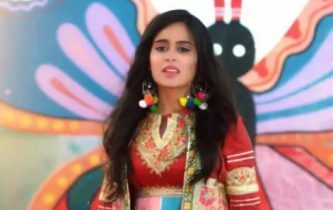 The show brings a subject of arranged marriage, the take of young generation over the old defined customs of the society and fulfilling expectations of the family. It brings a thought how the youngsters find hard to balance their lives while satisfying the society norms and holding the factors of their happiness. The main characters Abir and Mishti are both close to their families. They love and protect their families in their own different ways. Abir and Mishti have the same issue in their lives, that’s the abandonment by their fathers. They have different take on the issue. Abir is strong-headed and clear about leading his life, by accepting the truth, whereas Mishti is seen constantly affected by the truth. Rajvansh family and Maheshwari family come in picture. The families are two big united ones. Maheshwari family is known because of Yeh Rishta Kya Kehlata Hai. Rajvansh family seems more orthodox when it comes to marriage arrangement. Meenakshi is the matriarch of Rajvansh family. She is the sole responsible person who thrives to prove herself in every possible matter. Meenakshi is a strong, bold and independent woman. She is a single mother who had raised two sons Abir and Kunal, after her husband abandoned her. She doesn’t regret for the past and often uses the abandonment story in her favor. She is very much manipulative. She knows how to turn a NO into a YES. She believes that a person can win a battle by verbal conditions. Meenakshi is not at good terms with Abir, who finds her ways unfair and crooked. Meenakshi wants perfect girls for her sons. She is very much dominating. She doesn’t like any rebel in the family. Abir is Meenakshi’s elder son. He is the eldest grandchild of Rajvansh family. He is a smart, handsome, determined and positive person. He is very clear-minded about his goals. He doesn’t like manipulative people. He is a carefree person and mostly a wanderer by choice. He likes to help out people selflessly. He wants to bond with people with a clean soul and heart. He often opposes his mother. He is very protective for his family. He doesn’t want to skip any of his responsibilities. He mostly stays away from the family because of his bad terms with Meenakshi. He is a complete rebel. He leaves home whenever he gets enough of wrong things happening around. Abir wishes good for everyone. He is much hurt with the fact that his dad left him and never returned. He often expresses his feelings by his poetry. Mishti is Naman and Karishma’s daughter, who is abandoned by them. Even Singhania family didn’t accept to raise Mishti for their own reasons. Mishti got adopted by Rajshri and Vishwamber. She gets lucky to get a place in Maheshwari family. Mishti is a sweet, caring, strong and emotional girl. She gets depressed with the fact that Naman left her when Karishma opted for a second marriage. Having bad memories of a troubled childhood, Mishti is indebted to Rajshri for giving her a loving family. Mishti deals with her issues on her own. She gets very protective when she finds Rajshri in any difficult situation. Mishti believes in fate, but is doubtful about finding true love. The story begins in beautiful and colorful locales of Kutch. Mishti and Kuhu are going to participate in the Kutch Utsav. They have many differences between them, but prefer to hide the truth from the family to maintain everyone’s happiness. Kuhu decides to perform with Mishti in the event. She is seen as a cheerful and positive girl, but she has much annoyance with Mishti. Kuhu blames Mishti for snatching her family and moreover her parents’ love and attention. She is angered that her family has adopted Mishti years back. The girls meet Ketki on their way. Ketki belongs to Rajvansh family. Ketki has run away from the family to avoid the quick marriage practice. Rajvansh family is headed by Meenakshi, Ketki’s Bua. Ketki is much scared of Meenakshi. Her parents have no voice of their own. Everyone believes in Meenakshi’s decisions in the household. Ketki fears to marry a stranger. She wanted to meet the guy once and know him. Meenakshi didn’t let Ketki meet the prospective groom and fixed the engagement. This reasons out Ketki’s elopement. Mishti learns Ketki’s problem and suggests her to talk to her parents once. She doesn’t want Ketki to hurt her family this way. Meenakshi’s sons Abir and Kunal are introduced, who are poles apart in terms of their personality. Kunal is very much of a mumma’s boy, while Abir is a complete rebel. Meenakshi has no big expectations from Abir. Mishti and Abir meet on the top of the bus. She happens to help him, while he catches a glimpse of her in his camera. Abir’s poetic side is shown. She expresses her pain by her words. Abir gets to sense her pain by hearing her out. He shows his carefree side and perception over life’s problems. The story is a spin-off of Yeh Rishta Kya Kehlata Hai. There are very high expectations from it because of the former show’s success. With a bunch of talented actors and a good introduction of joint families, this show gets close to match the expectations of the audience. Rupal Patel as Meenakshi will remind the audience of her earlier character Kokilaben from Saath Nibhana Saathiya. She still acts calm and composed, dominating and then suddenly loud in some scenes. There had to be some fresh elements added to her characterization to make it seem different. 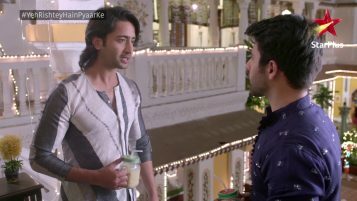 Shaheer as Abir rocks in every scene. The character of Abir seems tailor-made for him. 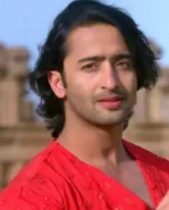 Shaheer puts the balanced attitude, expressions, charm and efforts in the character as required. Shaheer is the main highlight of this show. Even Shaheer and Rithvik’s chemistry looks natural. They are playing brothers in the show. They add up a realistic touch to their scenes, which isn’t commonly seen in the sisters’ bonding between Mishti and Kuhu, played by Rhea and Kaveri. Rhea has to still open up in the character, while Kaveri is taking the scenes over the top by unnecessary dramatic inputs. Rhea as Mishti is very much adorable, being a perfect homely girl waiting for her true love. The leads chemistry is still understated. Many scenes have to pass on with the leads to personify their chemistry. Abir and Mishti’s first meet scene is magical. It presents the entire story line in a short moment. The characterizations of both the families, Rajvansh and Maheshwaris are distinct. Rajvansh family is not much extended, so the focus on the prime characters are balanced. Coming to the concept, the show presents the difference in mindsets regarding quick arranged marriage and parental pressures on the younger generation. The show wants to project a modern mindset and justify the feelings of the younger generation, who are more peculiar about working on their self-chosen relationships. The costumes, sets, dialogues, visuals are just amazing. The show manages to garner the viewership right from the start. Yeh Rishtey Hain Pyaar Ke is a total family entertainer. It is going on a slow pace as of now, but may catch up with interesting elements in the coming episodes. Shaheer and Rhea, their characters and convincing portrayals are the key elements that makes the show more gripping. You know..I would have given it only 2 out of 5.It seems to be more like a spinoff of Saath nibhana saathiya. 4.The production house’s trademark positivity is missing. Anyways..they have a long way to go.I just hope they do good in terms of content..